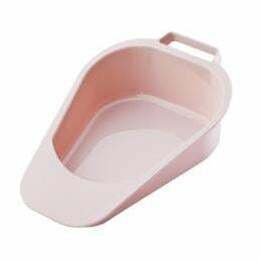 This Carex Fracture Bed Pan features a low tapered front for easy positioning for users who are unable to get out of bed to use the bathroom. A large handle on the back makes it easier to handle. Easy to clean and durable. Product Dimensions: 3.25" x 9.25" x 13"
Package Dimensions: 15.25" x 9.38" x 3"